Thread: 2000ft = 610m; the Great White. A review of one of the most famous toolwatches ever. Being a symbol for all: reliability, road capability, utility value and even increasing the last, it started out of a true functional idea. We need to start a little earlier. 1927. 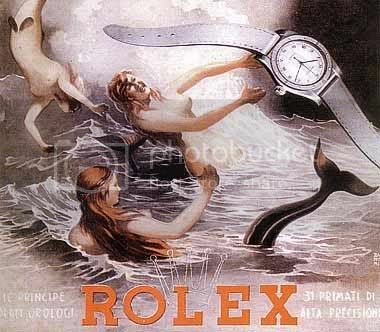 Canberra becomes Australiaâ€™s capital city, Charles Lindbergh flies non-stop from NY to Paris and the young Mercedes Gleitze swims across the English Channel with a Rolex on her wrist. 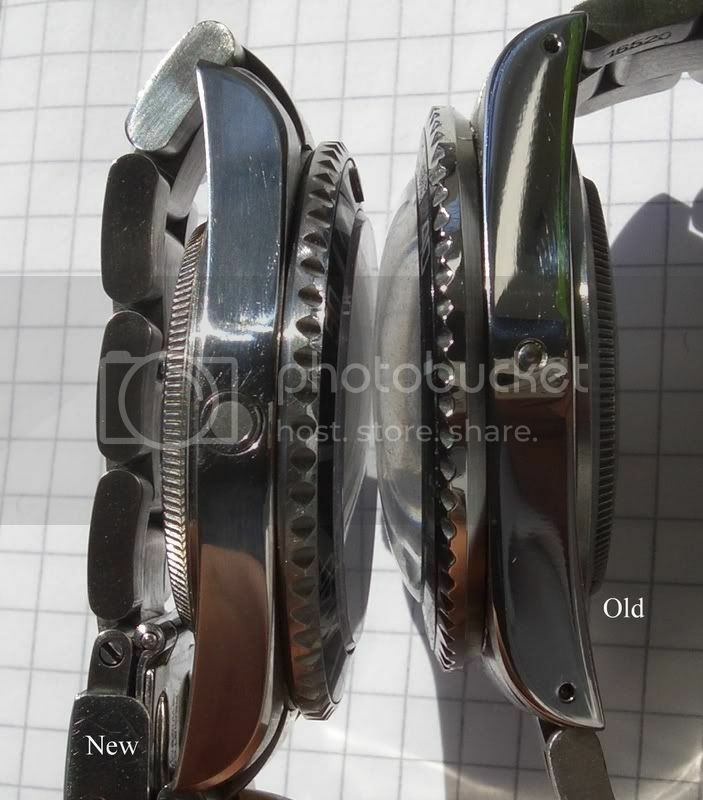 Itâ€™s case-construction has been patented, with screwed in caseback and crown. It was meant to be as sealed as an oyster, the name it was given therefore. The canal-crossing was the public proof to this ability, presented in the newspapers on November 24th. 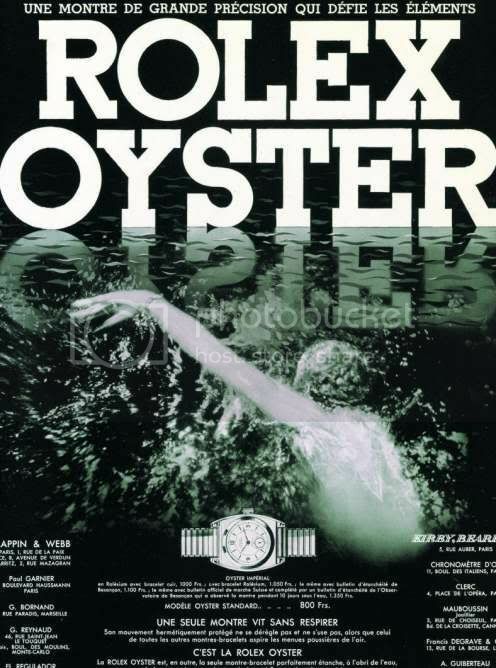 This clever marketing trick made the brand â€œRolexâ€� famous over night. It became a synonym for robust sportswatches. But a divers watch it became much later. The Oystercase was improved systematically to build the very first submariner in 1953. It has had a water resistance of 100m, which increased soon to 200m in 1954. This technical revolution became possible with the help of Auguste and Jaques Piccard. 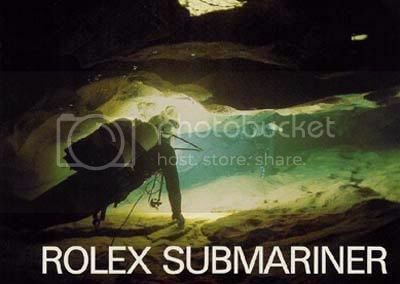 On 29th February of 1952, Rolex asked famous Swiss physics professor Auguste Piccard to take a Rolex watch with him to the ground of the Mariana Trench. 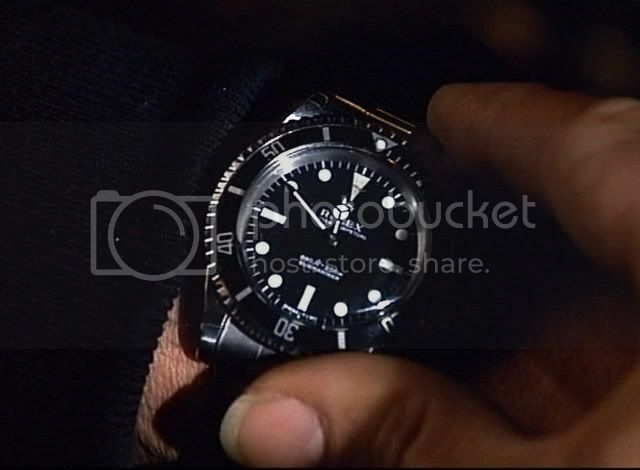 But not on his wrist â€“ the watch should be placed on the outside of the submarine shell. 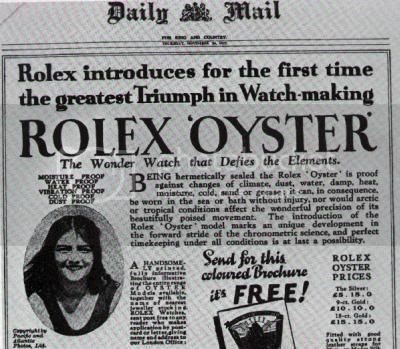 After Piccardâ€™s agreement, Rolex started the research on a watch that should later be given the famous name â€œDeep Sea Special Oysterâ€�. In the first place, the designers wanted it to be as ball-shaped as possible, but in the end they assembled a timekeeper which comes visually very close to a common wristwatch â€“ besides its crystal, of course. It was pressure tested by the Zurich ETH in first entity. 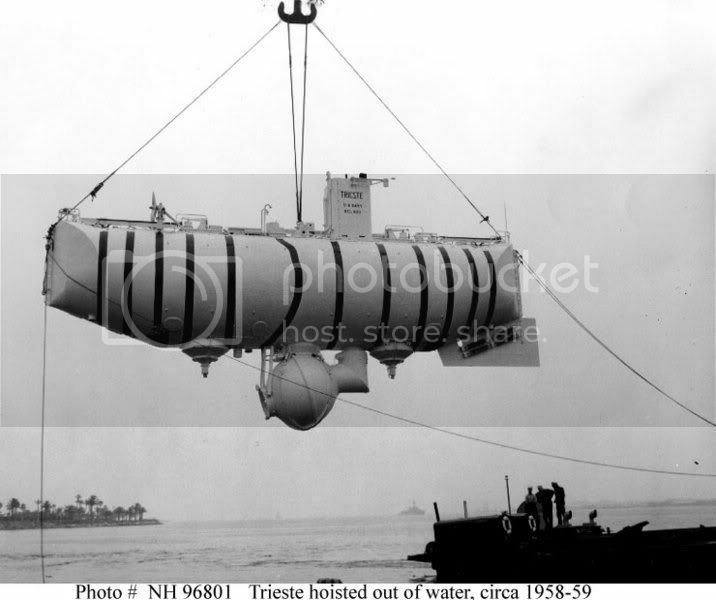 Needless to say that the test was successful, and on September 30th in 1953, Piccardâ€™s Submarine â€œTriesteâ€� and the â€œDeep Sea Special Oysterâ€� took their first dive in the Thyrrhenian Sea. Together they went down to 10334ft â€“ 3150m, on board were Auguste and his son Jaques Piccard. 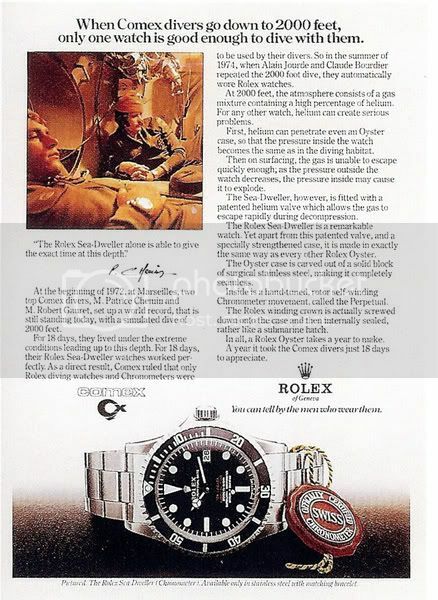 On October 8th, Rolex received a telegram stating: â€žVotre montre a parfaitement rÃ©sistÃ© Ã 3150mâ€œ (Your watch resisted 3150m perfectly). It took seven more years to hit the now still standing world record, when on January 23rd in 1960 J. Piccard and Don Walsh went down to the Mariana Trenchâ€™s deepest place, the so called â€œChallenger Depthâ€�. The deepest known place, where no man has gone before. It took them 4h43min to reach it, the abidance 20min and the up-going another 3h32min. 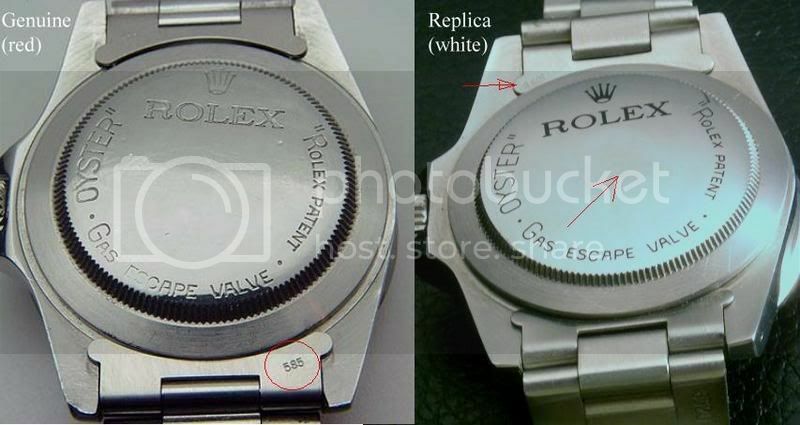 During that the Rolex withstood a pressure up to 1150 Atm, that is more than a ton per centimetreÂ². There were about ten pieces built in total, plus a few for museums with a different case construction. 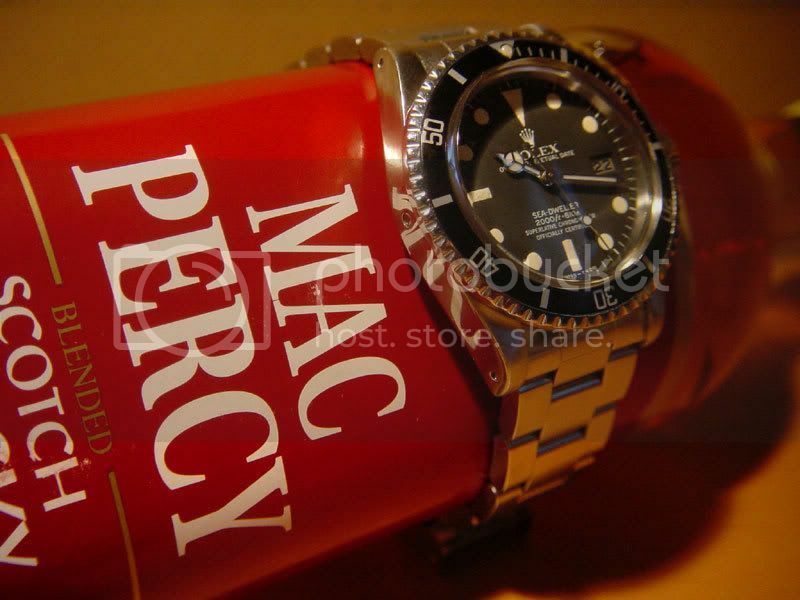 Their divers needed a professional divers watch to meet their most exacting technical and professional demands. For your background, COMEX took advantage of the rising demand for fossil fuels; they maintained the underwater conveying machineries. Being in extreme depths, it took the divers very long dives to do their jobs. During the process of common diving, a compressed mixture of oxygen and nitrogen is used. But a diver doesnâ€™t simply breathe this gas; his body tissues accumulate it until it reaches saturation. This can cause rapture of the deep, when a body absorbs a dangerous concentration of nitrogen and is able to kill the diver. As nitrogen leaves the body rather slowly, it forces a diver to go up slowly, to decompress. Going up to fast will cause decompression illness. The saturation effect changed the gas-mixture from oxigen/nitrogen to oxygen/helium. Being a lot smaller than nitrogen-particles they leave the body way faster than nitrogen. This allows divers to stay longer beneath surface without risking rapture of the deep. Also the new invented decompression chamber made it possible for divers to rest between their dives and to remain in the same atmosphere while breathing oxigen/helium. This means they only have to decompress one time in full at the end of their shift. 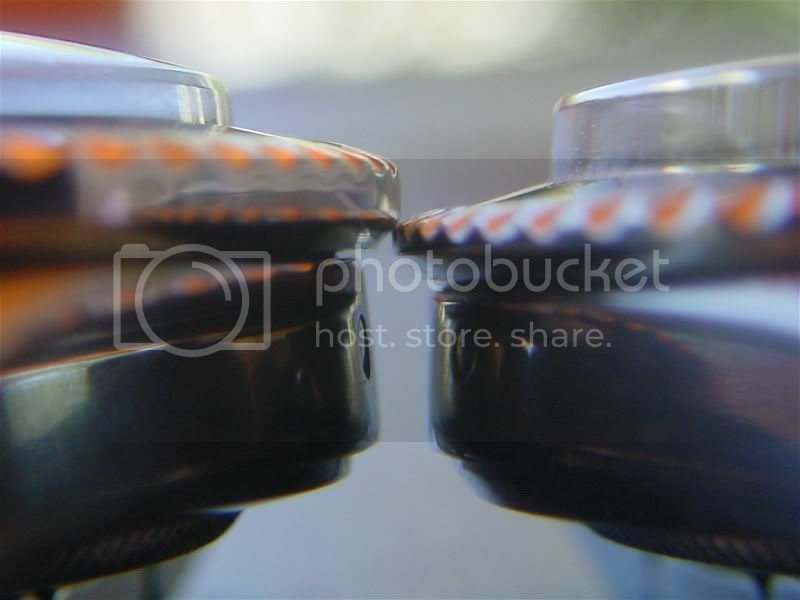 But these pressure chambers were bringing up problems with them, mainly with the already mentioned diver watches. 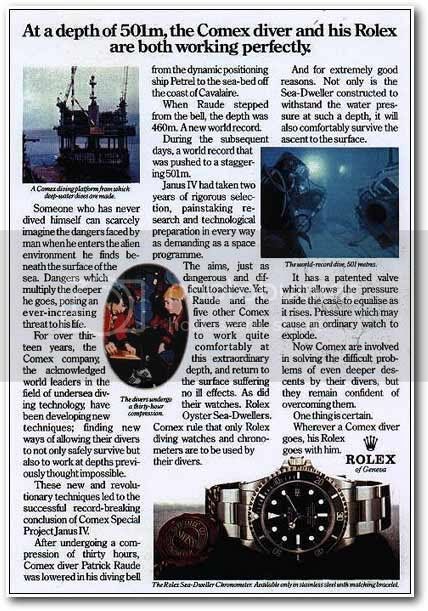 COMEX diver used Rolex Submariner (Ref. 5513) for many years with good results. Throughout the hyperbaric chambers it seemed that these watches were constructed too tight. During the long dives, tiny helium-particles penetrate crystal and gaskets, causing a venting between inside and outside of the watch. But in a hyperbaric chamber these particles do not get the time to escape through the gaskets again. The pressure rises until the crystal explodes, risking the cause of serious damage to anyone else inside the hyperbaric chamber. The construction of the 5513 allowed high pressures from outside the case, but the engineers never thought of the possibility there could be pressures building from inside the case as well. Being confronted with this task, they quickly start to work on a solution. The very first helium one-way escape valve. 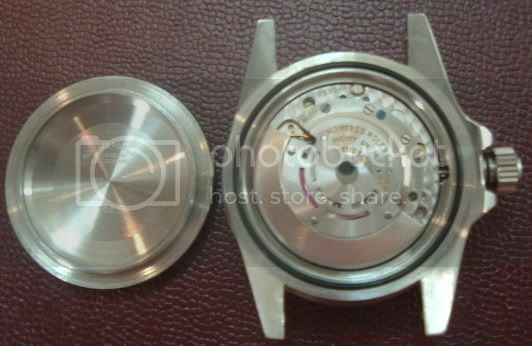 The valve started functioning when the difference between the exterior and interior of the watch exceeded 2.5 kg. per sq. cm. The first helium valves were patented at the end of 1967, and set into a trial series of 5513 delivered to COMEX between 1969 and 1971. The small diameter valve in these 5513s is made from chrome-plated rather than stainless steel, so it is not unusual to find them blackened by oxidation. The first prototypes were mainly special featured 5513 Subs. Some of them, but not all, had the â€œCOMEXâ€� sign on top of â€œ660ft = 200mâ€�. 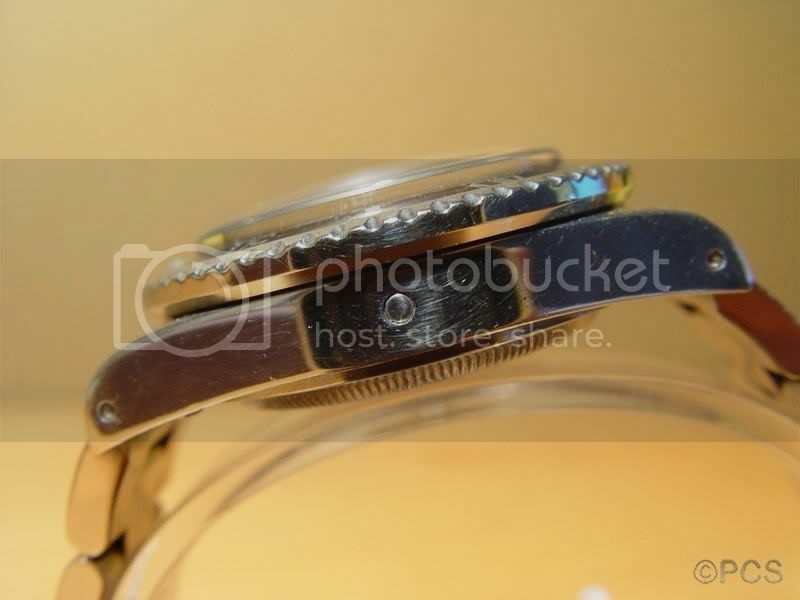 Every watch has been equipped with an individual id on the caseback. 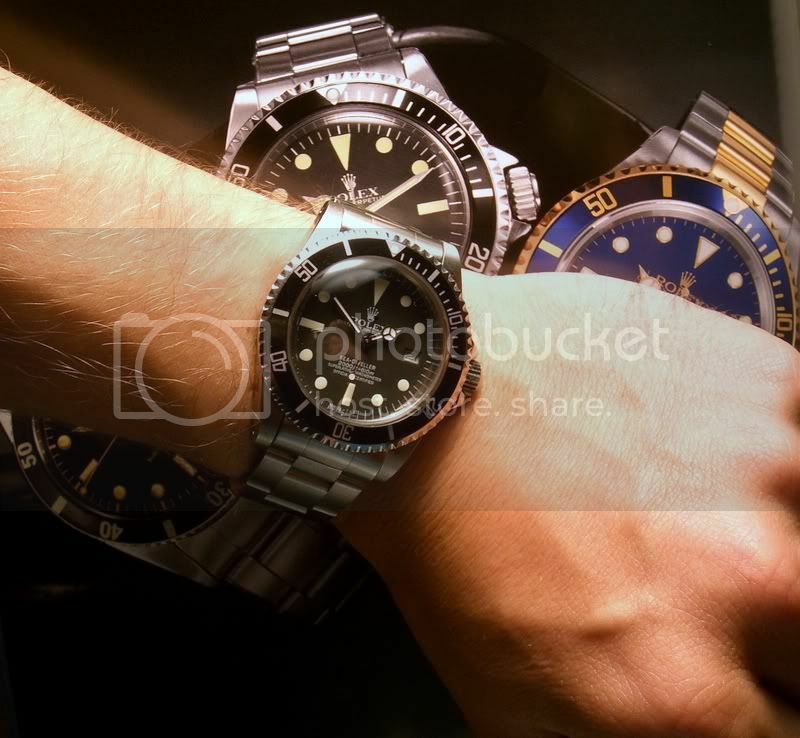 As these watches faced tougher circumstances than usual diver watches, they were sent in for revision every 6 months. During that, these watches maintained to the last state of the art (dials, movements or crystals for example). Therefore, prototypes of this generation are more than rare. 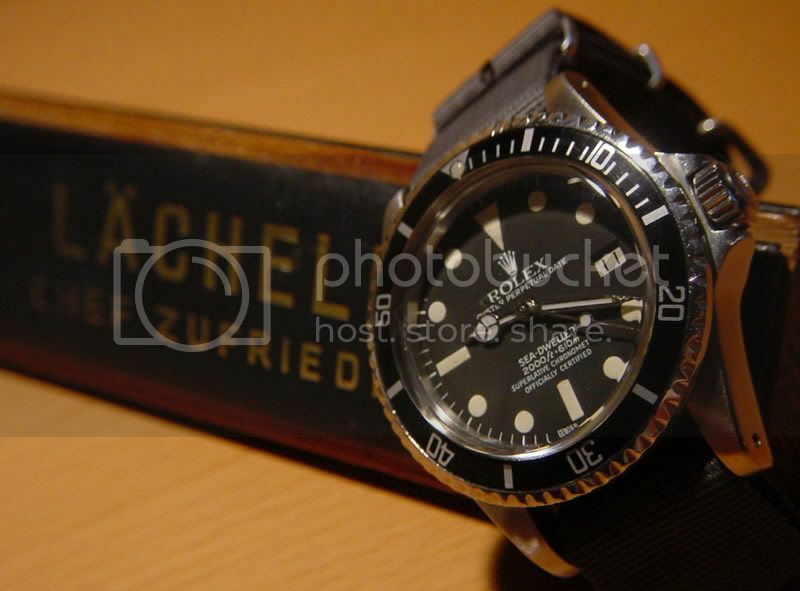 In the beginning of 1967, COMEX orders another set of these special Submariners. 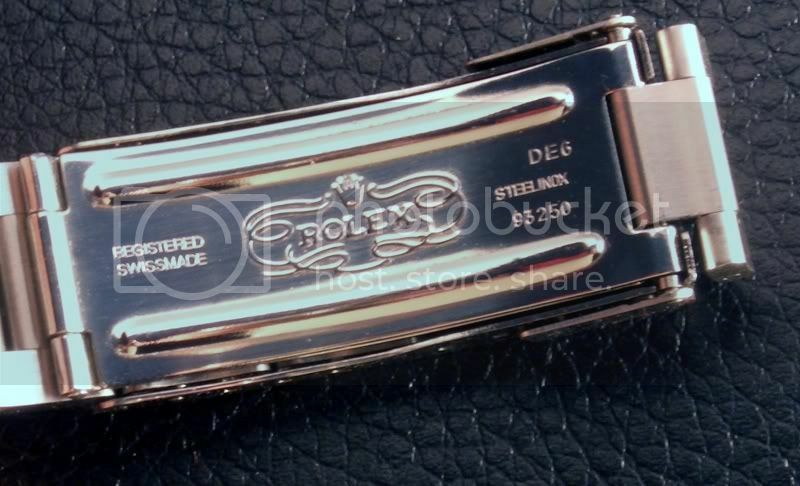 Rolex builds about 150 pieces and names them officially as reference 5514. 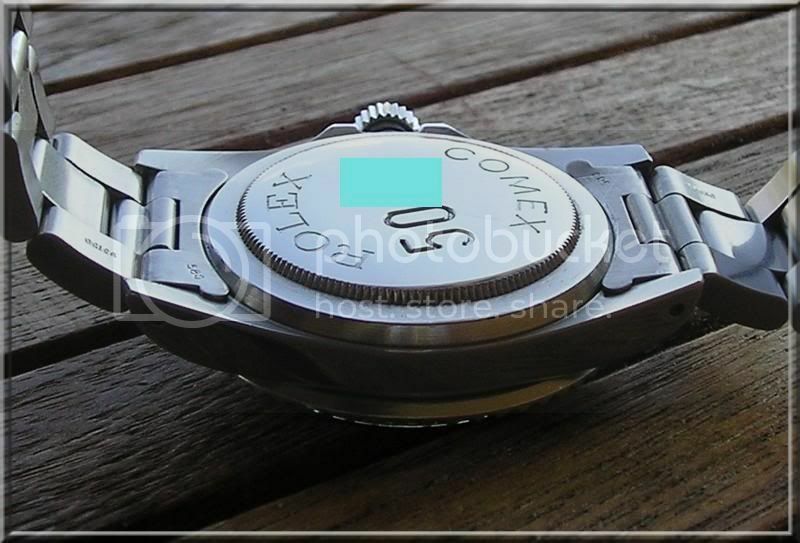 They now have the COMEX emblem on the dial and again the COMEX-Id on the back. 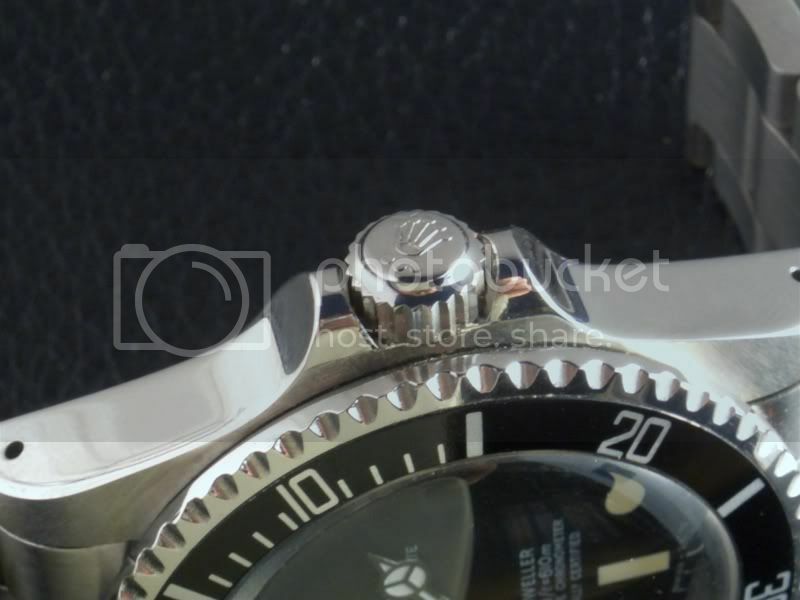 In 1971, a civilian version of the SUBMARINER with helium valve appeared on the market, the SEA-DWELLER 1665, with guaranteed water resistance to 2,000ft. 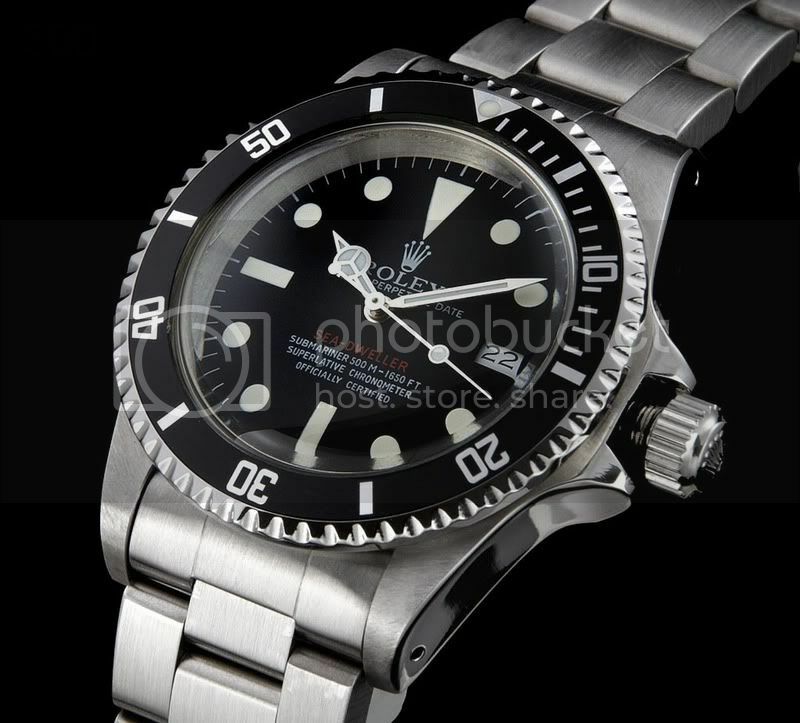 It retained the caliber of the 1680 SUBMARINER, and like the Submariner, included a date indicator, though not the Cyclops lens, as the thickness of its crystal would have made it necessary to increase the thickness of the lens to maintain the same accuracy. 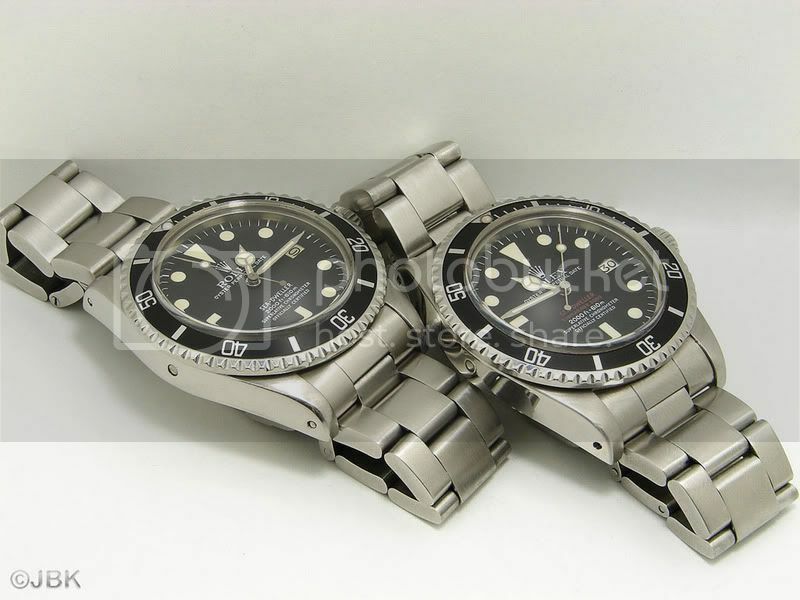 The first examples of the 1665 were manufactured for COMEX. 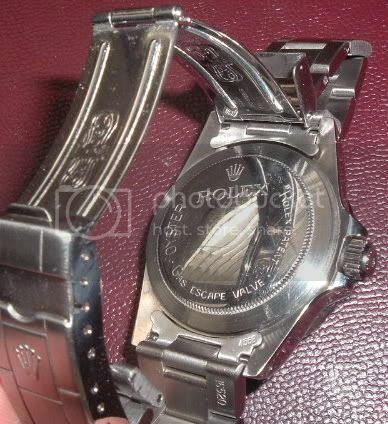 The case-back was numbered and they were delivered with COMEX marked on the dial, with a civilian replacement dial. 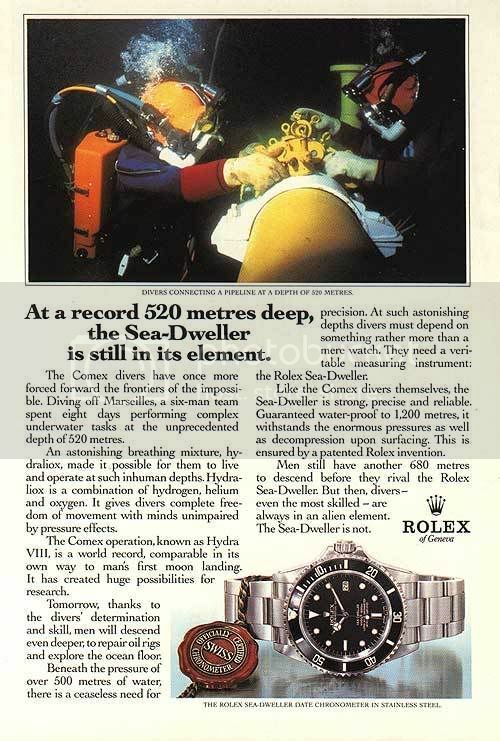 The first civilian series was marked SEADWELLER-SUBMARINER 2000 in RED, with ROLEX engraved on the case-back, as was the case for all subsequent versions. 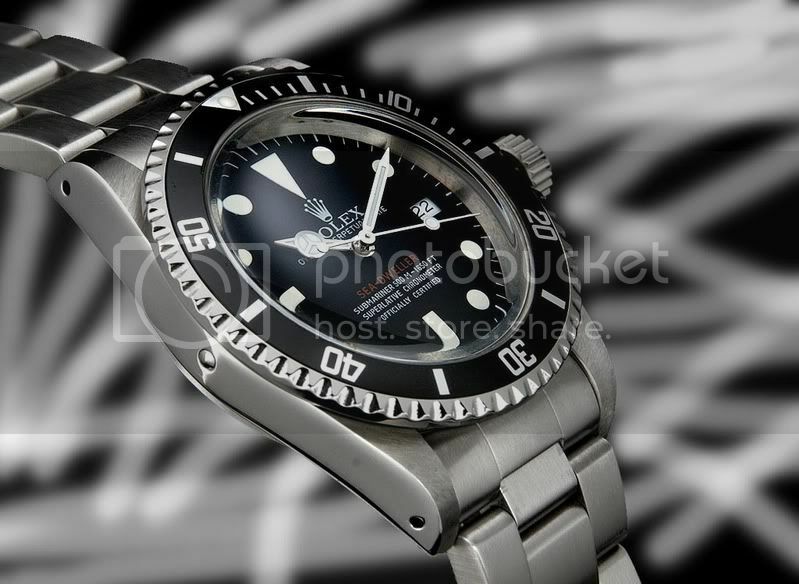 The second series (1975 to around 1982) differed from the first only by its all-white inscriptions and absence of the marking SUBMARINER 2000. The Great White Seadweller is born. I donâ€™t think that will effect anything else but scratches â€“ but no patina. However, there is plenty of information among the boards to be found and I believe it is up to you how you like your watch best. Also keep in mind there are genuines which look brand new as well, because they were locked in some collectorâ€™s safe all the time. 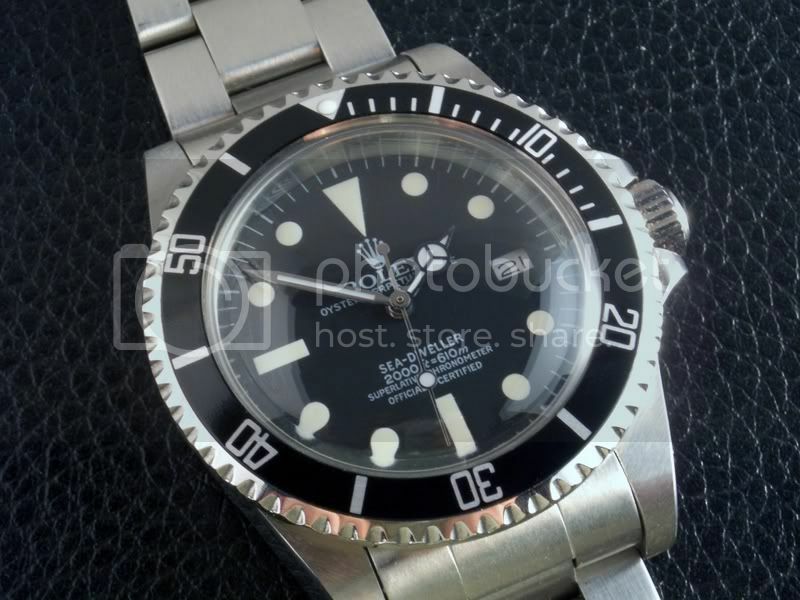 The case construction however seems to be identical to the genuine 1665, it is slightly smaller in diameter than a submariner case, but a little thicker. It accepts genuine parts and has a genuine HEV which is told to be working. The HEV is like on the genuine, pretty small and centred on the 9 oâ€™ clock position of the case. Some rare genuine watches of the first batch have their HEV slightly lifted, closer to the bezel because their case is thinner. That feature makes them even â€œhotterâ€� for collectors. Later on the 16660 generation which hit the market in 1980, the HEV was enlarged, for a better decompression function and â€“ in my opinion â€“ for some show-off reasons. But back to 1665. The lugholes are on the right place, but too small. You need to drill them bigger to fit the original Rolex springbars. Rbj69 did a nice little tutorial on how to do this here. The drill-specs are to be found here. Another interesting guide is to be foundhere. Between the lughorns where you can find the series- and model-numbers engraved. Twenty to thirty years ago, these were pressed in with heavy forces. On the replica they seem to be laser-edged, which does not go in as deep and is also too detailed. 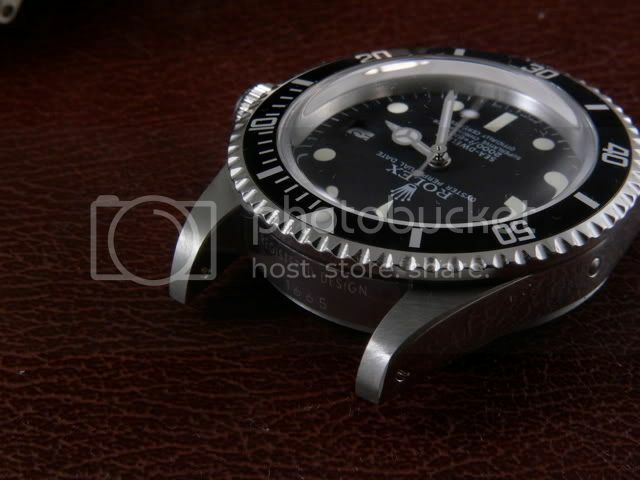 For the MBW 1680, the â€œROLEXâ€� became the famous â€œPOLEXâ€�.The 1665 states â€œRegistered Designâ€�, which is correct. (Some of these Replicas simply state â€œRegistered Designâ€�). The bezel is really nice, it sticks out high and thick. It turns bidirectional which I was told to be correct. 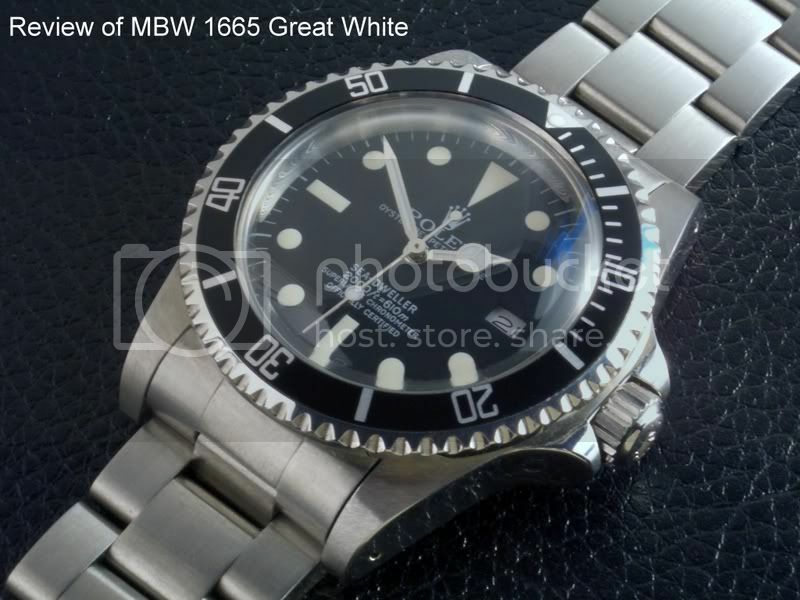 I am still a little sceptical for the white 1665, but I cannot proof otherwise. 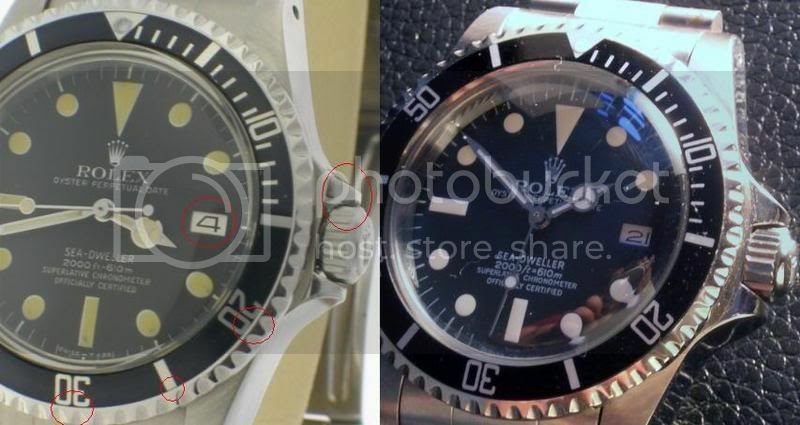 The Inlay and pearl do not look too close to the genuine one, but can be swapped with an OEM part easily. There are lots of tutorials on how to vintage the insert with solvent, it will look like it has been bleached out by years of lying in the sun. 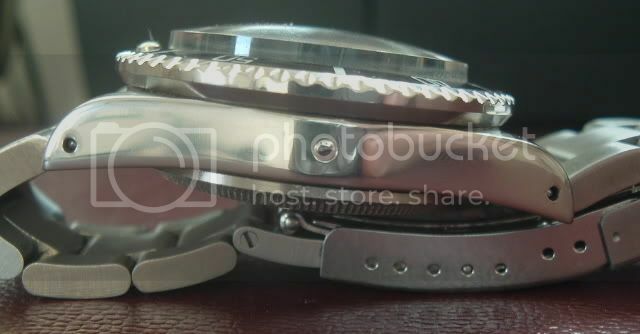 Remember, it will look funny if your insert looks like it belongs to a 30 year old toolwatch, but the case looks brand new. Some members even broke out their pearls to create a rougher look. The crystal is made of acryl, which is more flexible than sapphire and does not burst as easily therefore. The genuine is a Tropic superdome #39, which looks incredible. 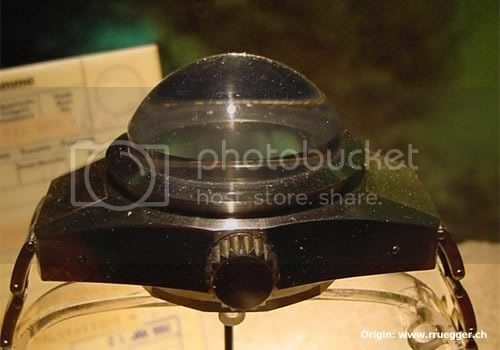 The domed crystal tends to obscure the dial at certain angles. The watch really gets a shiny and royal look. The replicaâ€™s crystal is nice as well but nothing compared to the real deal. I think this will be one of my first steps in modding this beauty. They are simply wrong, to fat and not spiky enough. By-Tor made an amazing review on these and how to mod them, which I just canâ€™t beat. You can read it here. Be careful if you try that yourself. 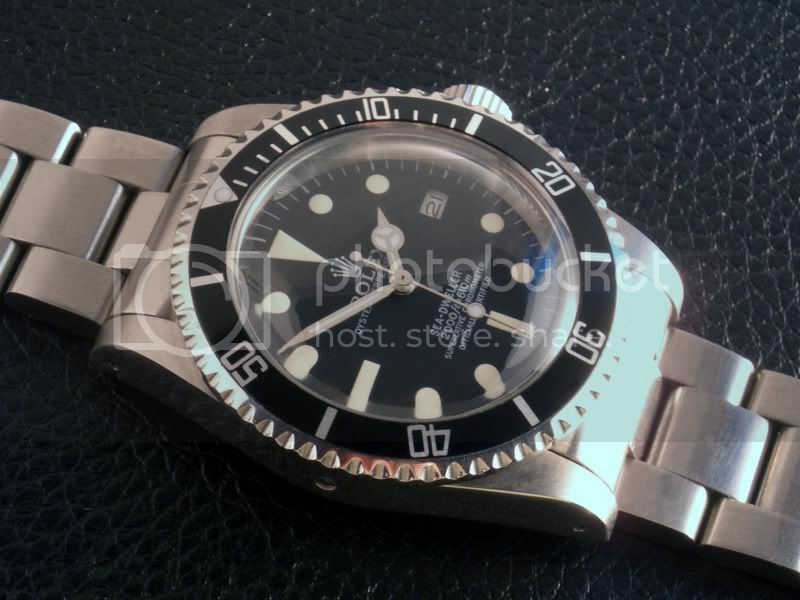 The crown looks nicer on this rep than on all other Rolex reps I have owned so far. The three dots and the crown-symbol are well shaped. It takes 1.5-2 turns until it jumps out and the thread is really nice made. There is also a gasket around the tube like on the genuine. The dial is one of the best I have seen so far. It has a clear sharp white font with correct spaces between the lines. The hour indexes are milky-white with a slight turn to yellow. Some might think it does not look vintage enough but I really donâ€™t think so. If you look at these gens, you will see that they neither have gone all yellow. It really depends on how the watch was used for. 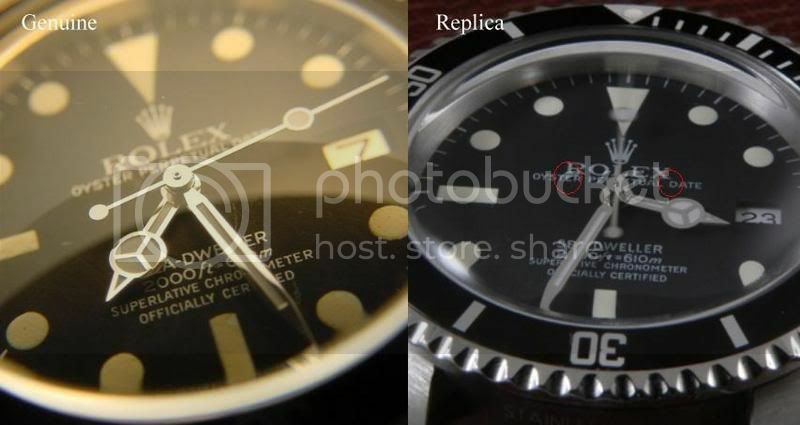 Nevertheless, the replicas markers do not fit to the hands which look like they were taken out of a brand new watch. It will be tough to make them fit to the dial. The dial itself has a varnished black colour, unlike the modern SDs, which have a high gloss powder finish. Also note, that â€œOyster Perpetual Dateâ€� seems not to be aligned correctly, but I really donâ€™t think that this will be noticeable. The date window looks sharp and correct, while the datefont is way to thin. Some members here got their watches datewheels which imitate the Rolexfont perfectly and fit ETA movements. Tribal made a guide on this here. 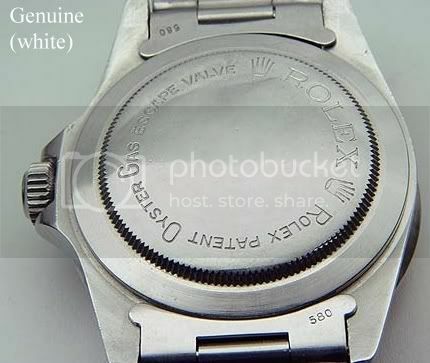 Inside the genuine ticks a Rolex cal. 1570 (1575). The replica comes with an ETA 2836, which has a main issue: itâ€™s frequency is 28.800 bph. The gen operates with 19.800, that causes a visible difference. A compromise would be an ETA 2846 with 21.600 bph which comes very close. See Ubiâ€™s thread Getting The Vintage Beat Right for more info. 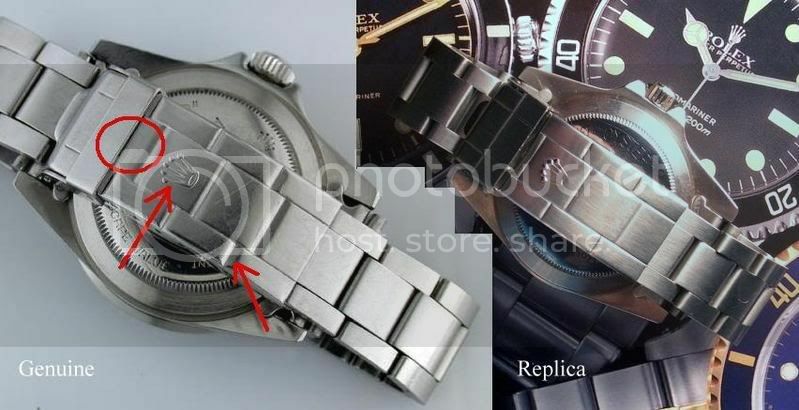 Several Members went so far and put the genuine movement into their Franken/Hybridwatches. That of course is an expensive, but most accurate solution. You will get the beat and the date right with that. 20 to 30 years ago, the makers did not have the technique to engrave steel the way we do nowadays. You can see that if you compare the casebacks of a gen and a rep. The replica uses modern CNC and the letters are painted black. Please notice the higher toothing on the gen. Another thing that catched my eye is the flattened top of the replica caseback. It has hollow endlinks and feels very light and nice. The crown on the clasp is much more detailed on the genuine. It also imitates the links much deeper and there is no recessed range next to the fliplock. 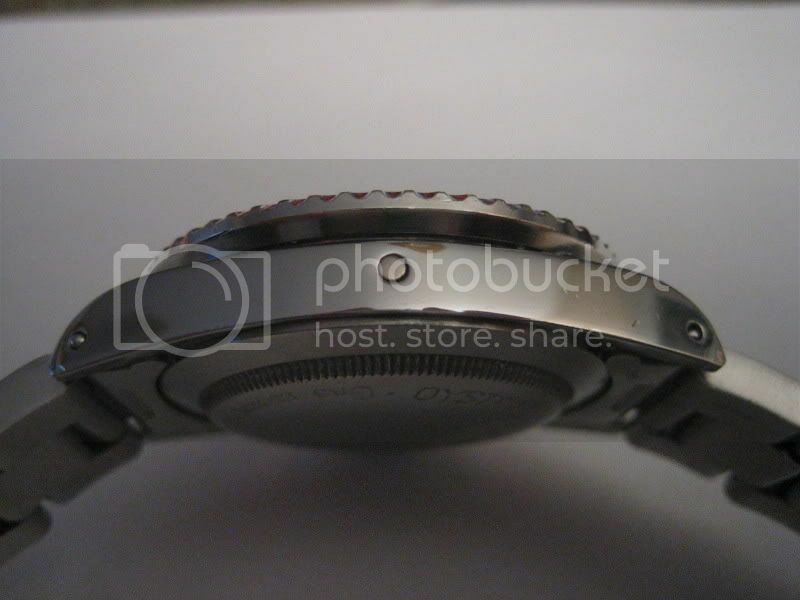 If you want that correct you will have to pic it up on the bay (for serious bucks) or put it on a NATO strap. This watch has been my â€œholy grailâ€� and writing this review was really fun! Now I am looking forward to mod it pice by piece which will be even more fun! I hope you enjoyed reading it as much as I enjoyed writing it up. I would like to thank everyone who allowed me to use his pictures, TTK, Pug and Warrcraft in special. Very nice post. Enjoyed reading it. 1000 Geekbux to you !